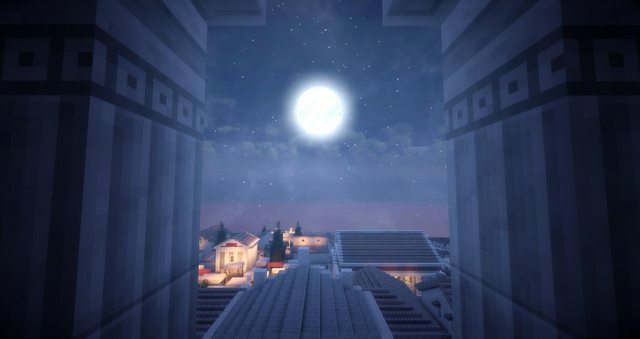 Origines would like to present to the honest and fair members of Planet Minecraft, the Greek City of Amphipolis. 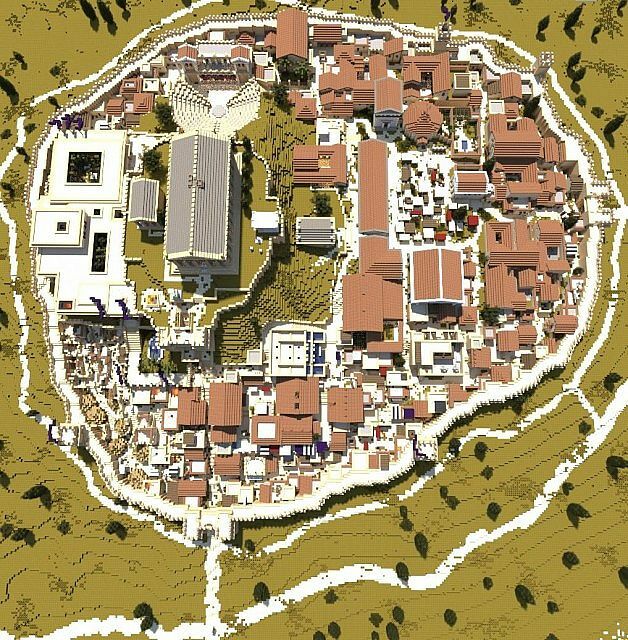 This project grew organically, starting with the main Temple on the top of the Acropolis. Slowly, the rest of the city followed. 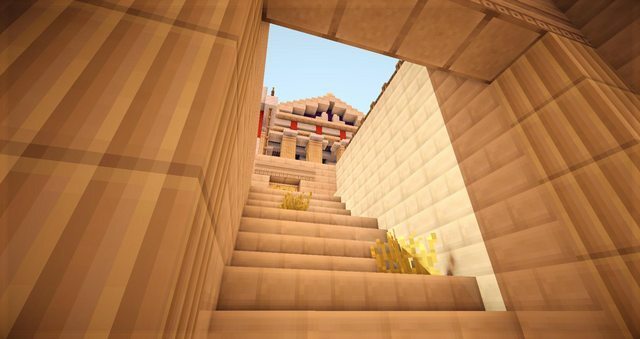 Featuring: Three main districts ( Slums, Administrational, Residential, ), Temple to Zeus, Shrine to Athena, Full interiors, Harbour , Minoan Regal Residence, Two markets, Countless alleys, Custom created terrain, and much, much more! 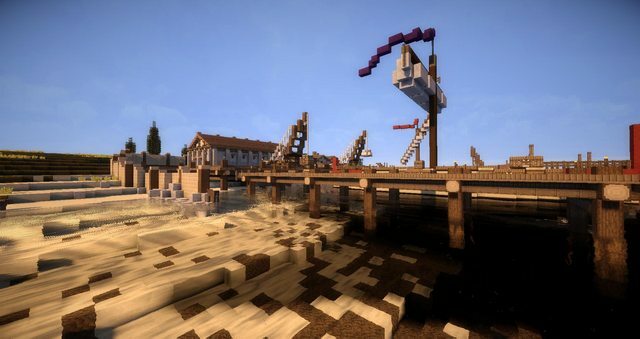 To show your support, please recognize our build by giving your Diamond, Favorite, and Comment! Added another tidbit of info to the description, along with a picture of the Harbour. Hello, I'm making a custom Roman / Greek map to teach history to my son. Would be amazing if I could use your city in it. Any chance of downloading this? Congratulations for the incredible work. Can you please make a download link please. 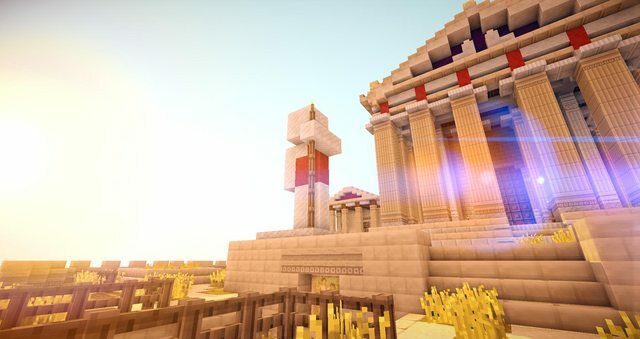 This is an amazing build and I admire it very much and I love Ancient Greek history😋 please make a download! where i must click to download? This is a great build!!!!! I love it. If I could I would give five diamonds. Really good depth in this city. this is really nice, great build ! MAKE A DOWNLOAD I WANT IT!!!!!!!!!! is there ever going to be a download? 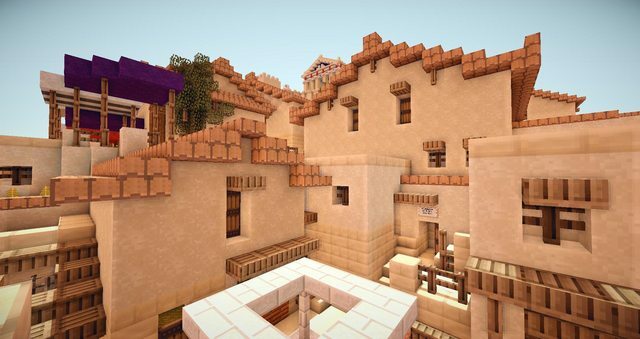 The texturepack we've been using has gone trough quite some modifications since we finished the city. Long story short; everything is broken and needs to be fixed haha. A release still might be looming on the horizon, but right now its 'unfortunately' not our highest priority seeing we have a lot of other material coming up. So as of right now, drink in those screenshots and stay tuned! It's been 6 months since you said the server is no longer in operation, can be expect a download? 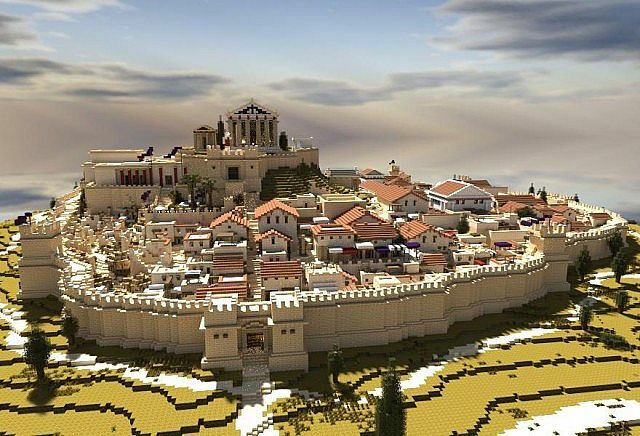 I really would like to get some inspiration for a Greek city I wish to build, for my faction on a server called MassiveCraft. It has a new world due to debut soon, and I would love to get a look at this. When will this be up for download? When there is no chance left of us using it for a server. where can i finde this texturepack of your and will u upload your wouderful city sot hat other can thake part of it? 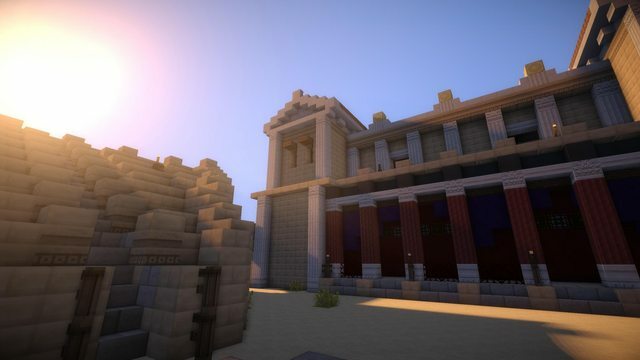 A custom pack made from bases such as conquest and romecraft, along with a majority of homemade textures. Our pack has permission wherever it uses other's textures. The pack in this screenshot predates the clay update and we've made a lot of changes. We're currently upgrading this city to our new pack. Excellent city, my compliments to you. please make a download man!!!!!!!!!!!!!!!!!!!!!! If your afraid of people stealing your map you need to get over it. 99.99% of people just want to have fun. Very few times do people steal my maps and make profit's off of them, but who cares. It just means more people are enjoying it. =) I hope you put up downloads soon so people can enjoy the maps themselves. It wasn't not up for download for fear of someone stealing it. It wasn't up for download because it was being featured on a server. 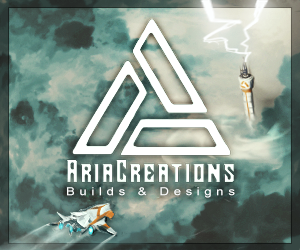 That server is no longer in operation so we may decide to place this build up for download. If we do we'll let you know. This looks utterly amazing! I love the simplistic design for the housing. 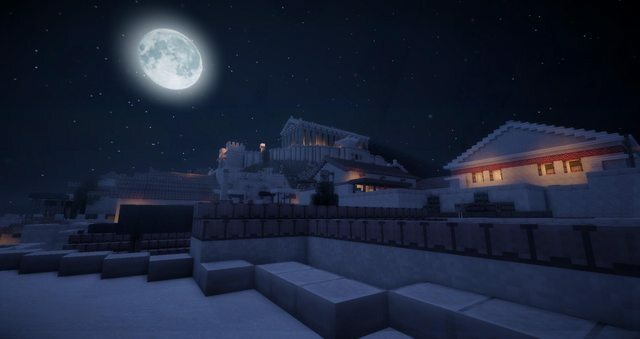 I'm new to this site and currently starting an Ancient Rome project, If you have spare schematics or even resources for designs it would be greatly appreciated if shared :) Again nice job to you and your crew! Very realistic, and the pics! Looks awesome! Especially with the shader! Awesome city, I love it! Did you make any statues of Zeus, Poseidon or something? That would be very cool. Anyway, good job on this and keep it up. Diamonded! Wow! 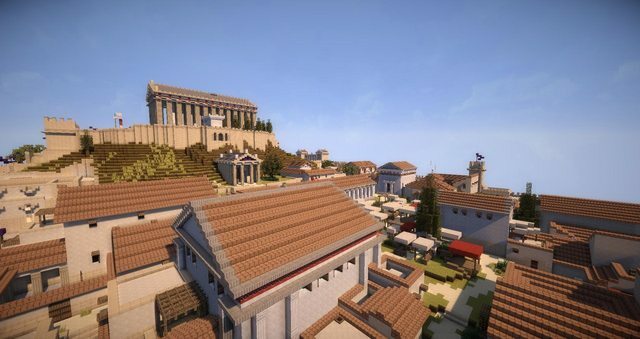 Probably the best Greek city I've ever seen! Holy crap! I thought the city was real when I first glanced at it. 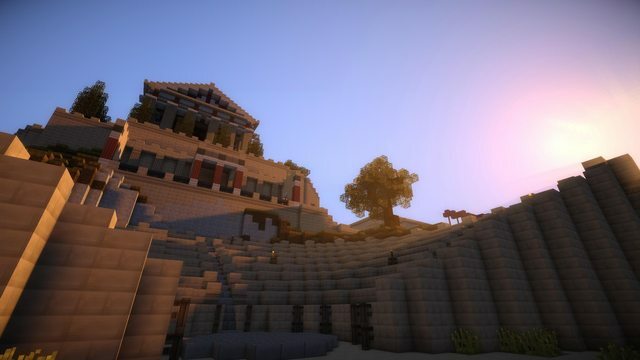 :P What shaders are you using? I thought there weren't any out for 1.6.2 yet! You got a diamond, but still I feel bad because theres no download. This city is central to one of the RP servers we are currently running called Respublica Origines. Making it available for download would mean it loses some of its magic there. Perhaps when the server's storyline is complete/done with it it shall become available. No download - no diamond. Sorry. That's disappointing that you feel that way about builds. However this is central and rather unique to a MC Rp server we have going. If anyone could download and use it then that would take away from the originality. If you wish to look around you could always join the server.